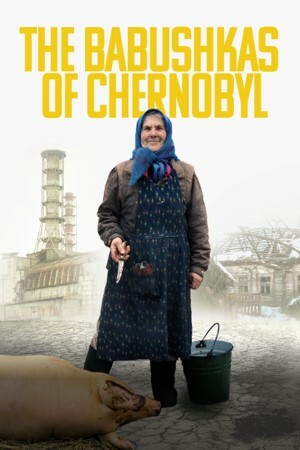 Over the course of a year, the film follows the women’s journeys, and those of visitors, including: the chief of an environmental testing team, a postal worker making her rounds, a 23-year-old female Chernobyl official, a science journalist, and a group of toxic thrill-seekers called “Stalkers” who break into the Zone illegally for radiation thrills. The film captures extraordinary locations and moments, from radiation spikes just feet from “the sarcophagus” of nuclear reactor No. 4, to the Zone’s sole remaining religious ceremony – Easter midnight mass in the decrepit Chernobyl church. The film’s characters and observational style reveal seemingly conflicting layers of a complicated story: Chernobyl is the ancestral home of a community with deep and old roots – but the contaminants will survive far longer than the region’s culture; the Zone is toxic, yet full of life; the story is steeped a patriarchal post-Soviet environment, yet is rife with powerful “grandmothers.” How do all of these realities live together? This portrait of a community tells a remarkable tale about the pull of home, the healing power of shaping one’s own destiny and the subjective nature of risk.